Sayonara Zetsubou Sensei Wallpaper: Strangled! 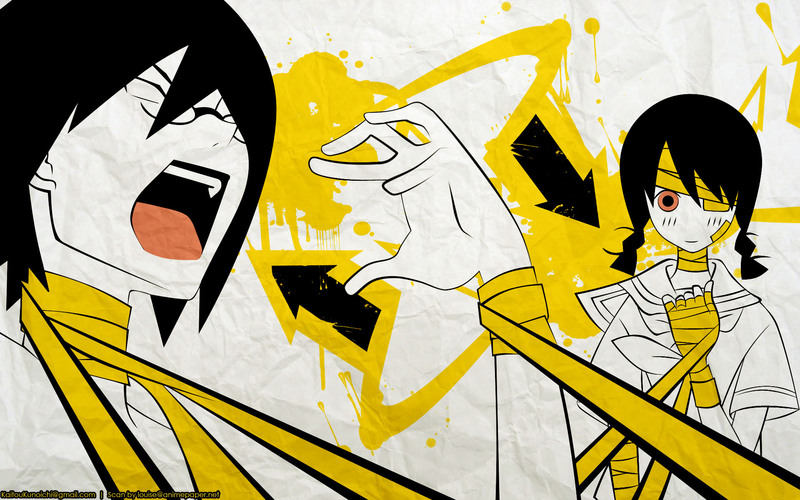 Minitokyo »	Sayonara Zetsubou Sensei Wallpapers » Sayonara Zetsubou Sensei Wallpaper: Strangled! While waiting for feedback on another version of a background for this vector, I came up with this one, which I'm pretty happy with. Scan by louise@animepaper.net and vectored by me. I used the fill option instead of the stroke for the pen tool in order to get this style vector. Took significantly longer, but what with being stuck home sick on a Sunday, I had plenty of time to finish what'd I'd started on Saturday. hile waiting for feedback on another version of a background for this vector, I came up with this one, which I'm pretty happy with. so so love zetsubou-sensei.. so desperate ever..